.A person can only work as hard as their body will allow them. And for some people, the wear and tear of everyday life can make it hard to support themselves. Eventually, Social Security disability benefits might seem like the only option. But around 75 percent of claimants will not be granted disability after the administration’s initial review. 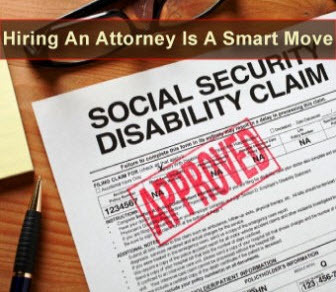 This is where disability lawyer Stewart J. Diamond, Esq., can help. Servicing clients in all five boroughs, with offices at 111 Livingston St. in Brooklyn and 76 Hancock St. in Staten Island, Diamond offers 10 years of experience specializing in appealing denials for both SSI and SSD disability benefits. Diamond didn’t start his professional career as a disability lawyer. In fact, he came out of college and taught elementary school in Brooklyn for several years. After acquiring a law degree at Touro College campus on Long Island in 1994, Diamond would have to wait a few more years before his older brother, who had worked with the Social Security Administration, suggested he try defending those seeking disability benefits. Once initially denied by the program’s strict criteria, appealing disability benefits from the Social Security Administration can be a long and arduous process. In Queens, the borough with the most time-consuming appeals process, it could be more than a year before a case is heard and a decision is made. For example, a construction worker who has a degenerative disc ailment, who can’t lift more than 10 pounds, might be told he could get a job working behind a desk — but he doesn’t qualify for Social Security disability benefits. Enter Diamond, who approaches every prospective client with a personal touch. When someone calls his office, Diamond is the one who picks up the phone and conducts the initial interview. If he believes you have a case, he’ll be the one to greet you when you visit his offices. When he files the appeal and gets that court date, Diamond is there before the judge — with you. Call him at 718-422-1150 for assistance.